Mark Quinn burst onto the Major League scene in 1999 becoming one of only 3 players to ever hit 2 home-runs in their ML debut. 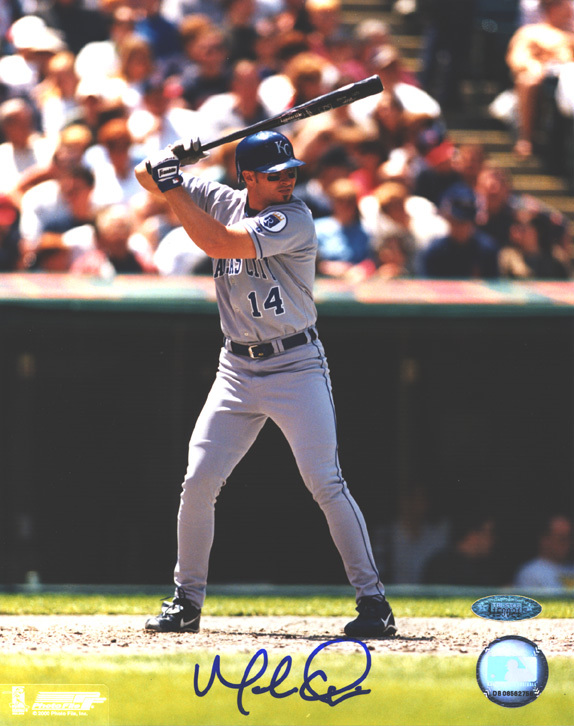 Quinn played in the MLB for the Kansas City Royals from 1999-2002. Mark Quinn has personally hand signed these 8x10 photos. Each Mark Quinn autographed photo is guaranteed authentic, and includes an individually numbered TRISTAR Authentic hologram. You can verify the authenticity of your autograph by entering your hologram number online at www.tristarauthentic.com.